Known for its rich luscious chocolate ganache cakes and artisanal coffees, dessert cafe, Chocolate Origin’s first ever Dark Chocolate Gelato has been perfected over 5 years of meticulous preparations and will be available first at the Bugis Junction Chocolate Origin outlet on 18 June 2016 followed by the other six outlets islandwide from 19 June onwards. Chocolate Origin prides itself on handcrafting every aspect of its premium products, with detailed attention placed on sourcing quality ingredients globally. Chocolate fanatics can look forward to the velvety smooth gelato, made from premium fresh milk and rich Belgian Chocolate that provides a bitter-sweet kick in every spoonful. With an irrepressible desire to expand on its chocolate repertoire with a unique and outstanding creation, the Chocolate Origin team individually bought and tasted every type of chocolate they could get their hands on before picking the right one. 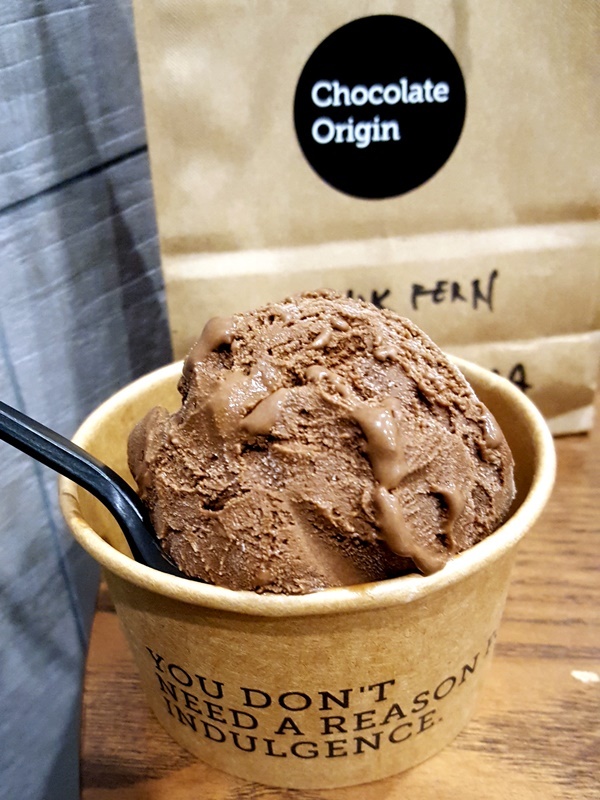 The new Chocolate Origin’s Dark Chocolate Gelato is available in scoop ($4.50 per scoop or $6.50 for double scoop) or in pint ($12.50, takeaway only). Good News! 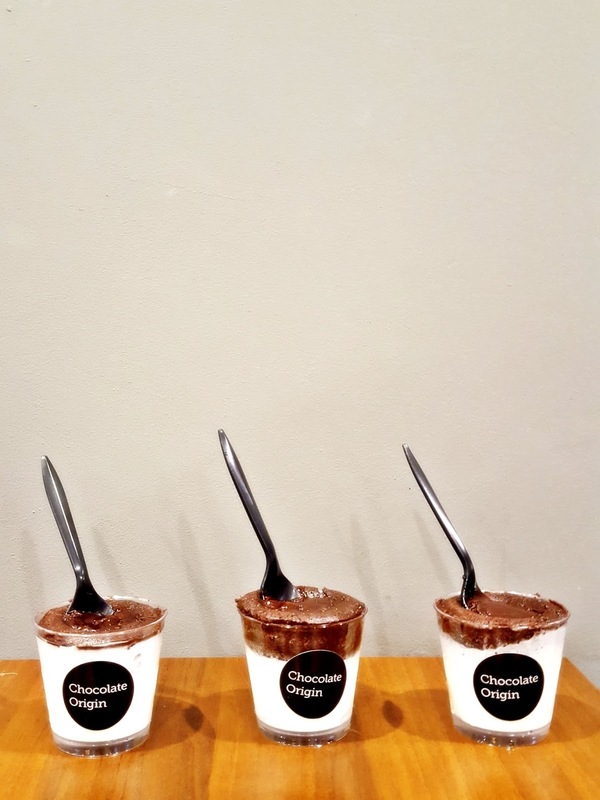 Chocolate Origin will be giving out free gelato on 18 June 2016, Saturday from 10.30am to 9pm at the Bugis Junction outlet in celebration of it’s new product. First 50 customers the day or registered fans at gelato.chocolate-origin.com will also walk away with an exclusive set of Chocolate Origin’s commemorative pins. 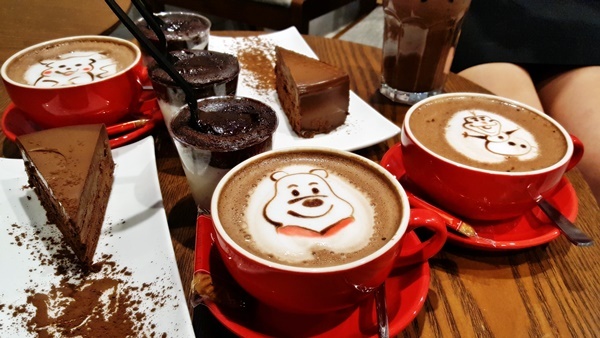 Apart from the rich cakes and gelato that one can indulge in, Chocolate Origin also offers a stunning cup of brew made from the finest Arabica coffee beans from Latin America. The Arabica beans, known for their distinctive aroma and exquisitely smooth texture, form a perfect marriage with Chocolate Origin’s cakes and gelato. 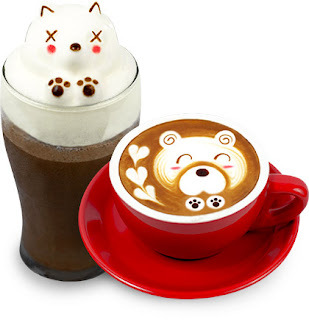 From ice cold chocolate shakes to freshly brewed artisan lattes, Chocolate Origin baristas go the extra mile to surprise and delight their with every cup. 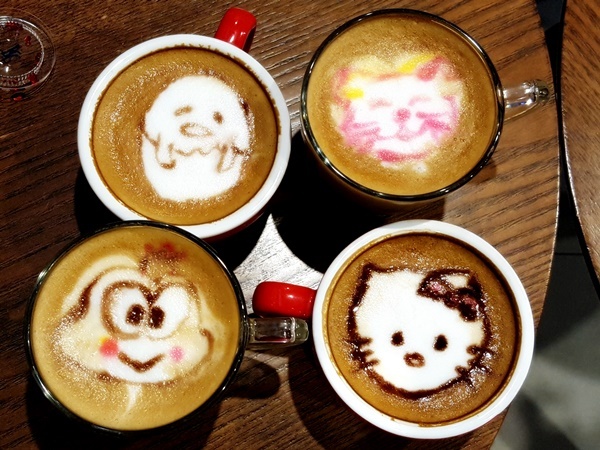 To make their visit more fruitful, Chocolate Origin takes it up to the next level by providing its customers with unique and creative latte art. 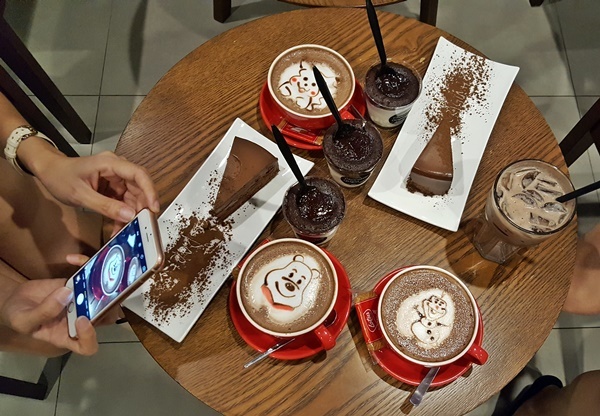 We were welcome by Kian Yong, General Manager of Chocolate Origin, and his team with their broad cheerful smile which sort of helps to chase away the tiredness after a long working day. These ends up to be dinner for some of us…. 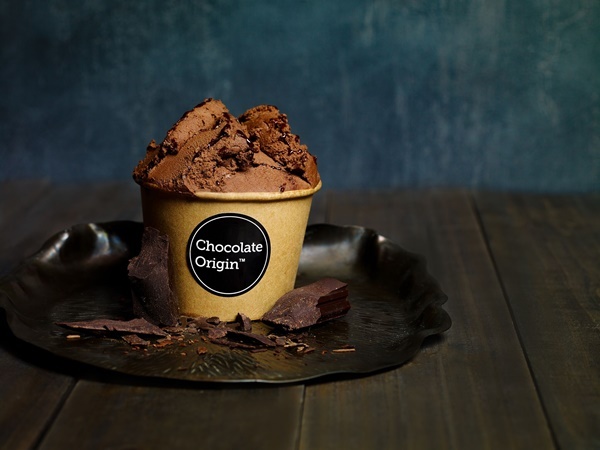 “The inspiration behind Chocolate Origin’s Dark Chocolate Gelato was for our customers to enjoy our chocolate ganache cakes in the form of a gelato especially with the hot weather we’ve been experiencing recently,” said Kian Yong, General Manager of Chocolate Origin. He also shared that the new gelato recipe is the fruit of spending hours in the R&D room in order to tweak it to suit Singapore’s palate and they are very happy with the final product. After indulging in the pool of rich chocolate products – my favourite cuppa lava cake, hot chocolate with a cute pooh bear, sharing milk chocolate and dark chocolate cake with Sis and fellow bloggers, and of course the star of the night – newly launch Dark Chocolate Gelato, we were given an assignment. 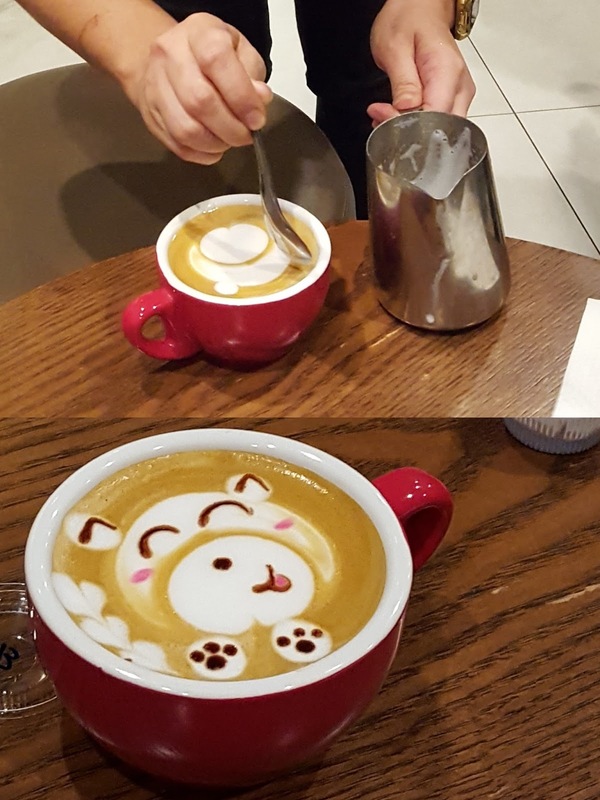 We were to do up a latte art with Chocolate Origin’s new DIY latte art kit. Wow! 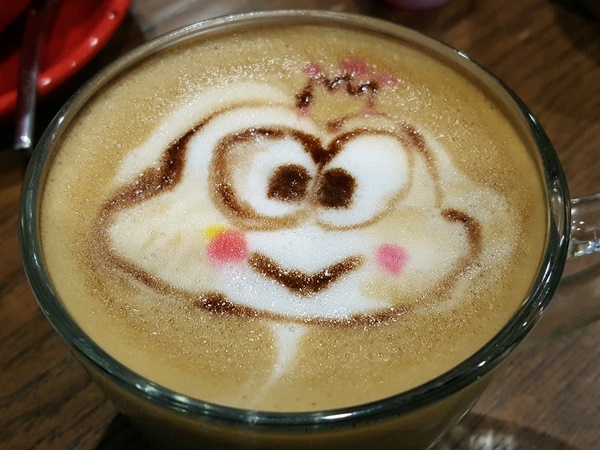 I’m seating with so many talented latte art artist. Can you guess which is done by sis? Had a sinful and joyful evening with Sis. For more information, please visit www.chocolate-origin.com or www.facebook.com/chocolateorigin.